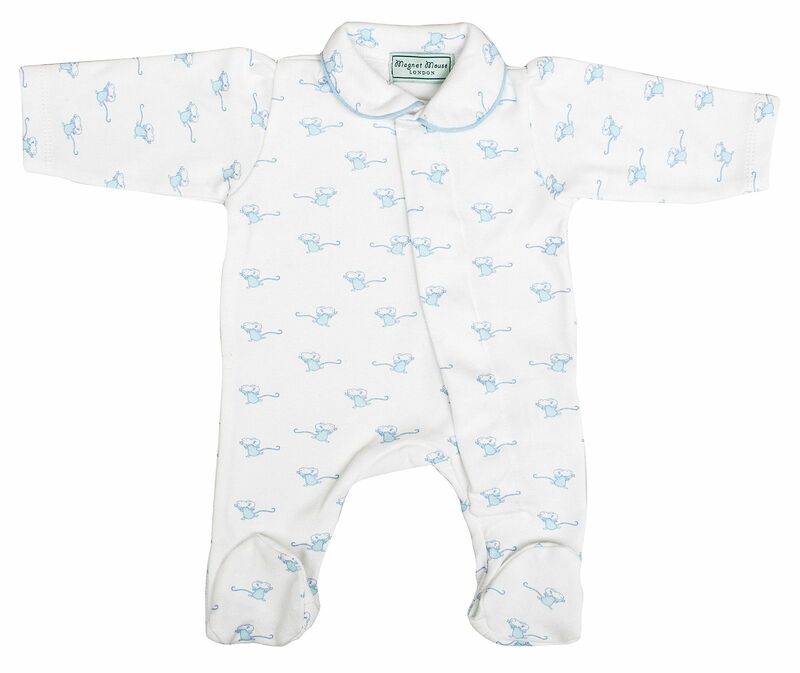 A wonderfully soft, 100% cotton onesie, featuring our bespoke mouse print in pale blue. The attached feet ensure that tiny toes are kept warm as the nights draw in. 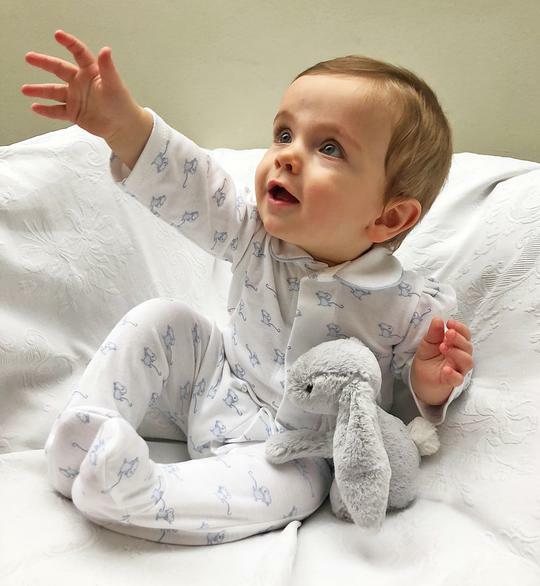 Not just for sleeping in, this pretty little blue trimmed Peter Pan collar turns any cardigan into a gorgeous day outfit.